Premier League club Cardiff City's record new signing, Argentine striker Emiliano Sala, is presumed dead, authorities in Europe have confirmed, after a light aircraft he was travelling in disappeared over the English Channel. Police searching for the small passenger plane say "a number of floating objects have been seen in the water." Guernsey police say they have been unable to confirm whether any of the objects are from the missing plane, and that they have "found no signs of those on board." Authorities have already confirmed Sala, who had been traveling from Nantes to Cardiff, was on board the aircraft. Guernsey police say if any passengers landed in the water "the chances of survival are at this stage, unfortunately, slim." The search operation has been suspended, and will resume on Wednesday. 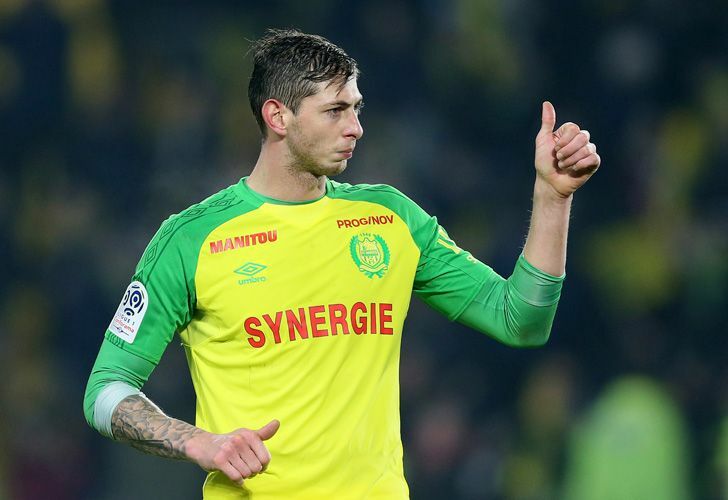 Sala, signed on Saturday from French club Nantes for a reported fee of 17 million euros (US$19.3 million), was flying to Cardiff aboard a small plane that disappeared from radars around 20 kilometres (12 miles) north of Guernsey on Monday night. "Sadly we are fearing the worst...the sea temperature is so cold at the moment," John Fitzgerald, Chief Officer of Channel Islands Air Search, told the AFP news agency. "We were very shocked upon hearing the news that the plane had gone missing. We expected Emiliano to arrive last night into Cardiff and today was due to be his first day with the team," the Premier League club's executive director Ken Choo said in a statement. "We continue to pray for positive news." Sala's last post on Instagram showed him surrounded by players from Nantes. "La ultima ciao ("The last goodbye")," he wrote. Sala began his footballing career in youth football in Argentina before moving to French club Bordeaux, who he joined in 2010, and had loan spells at other French clubs including Orleans, Niort and Caen.